Hello lovelies, how are you all? Sorry the blog has been so quiet – I’ve been busy making, baking, mending and cooking, which means I’m not online very much these days. But if you have time for a cuppa, I’d love to catch you up on all our latest projects. First our big news…we’ve bought ourselves a barbecue smoker! I’ve wanted one for about five years (ever since I first watched BBQ Pittmasters) but Pete took a bit more convincing. In the end, he agreed to a pellet smoker, which enables us to smoke (the American term for cooking low and slow over wood or charcoal) without the need to chop wood or light charcoal. Our Traeger 34 Pro has electric ignition and a thermostat controlled auger, which feeds the 100% hardwood pellets through as needed. She’s an absolute beauty and the simplest thing to use! It’s our 30th wedding anniversary gift (in advance) and we’ve named her Rosie after the robot maid in The Jetsons. Can you see the resemblance? The denim mania continues, and the pile of $2 Salvos jeans is slowly growing in my sewing room. On top of that, my friends are now delivering their old jeans directly to our place! Lovely Diana brought me her husband Ian’s old Wranglers – they’d originally belonged to her son Giles, but Ian had inherited them to wear as farm pants. Unfortunately, huge holes had worn through on the knees, making them unsuitable for hard yakka (that’s downunder speak for “hard work”). Other than the knees, the denim was in excellent condition and I was loathe to cut them up, so I mended them. I unpicked the side seams and sewed denim patches in place, then reinforced over the top with lines of straight stitching, then restitched the seams closed. Ian was absolutely delighted! As was I when I received Di’s wonderful photos of him wearing them around their farm.. There are instructions on how to make a no-sew t-shirt tote bag online, but if you have your sewing machine set up, it’s much easier to just run a seam across the bottom of the shirt. Big Boy has just given me a pile of his old t-shirts to play with! Rosie looks very impressive! The meat looks so juicy. I’ve been busy. Garden to harvest and put to rest over the winte. School has started. Busy digging potatoes now. Plus all the other things that need to be done. I sure wish I had some spare time for sewing. Maybe when things settle down over the winter there’ll be time for sewing. You lucky girl, finding those egg coddlers! They also come in larger sizes- well worth looking out for…..we were given a set as a wedding present- 36 years ago and still going strong! Wow, you have been busy. That Visible Mending book sounds utterly needing to be gotten, lol. Just arrived back from shopping feeling like crap, hot (bloody hot actually), sweaty, worn out… 6 hours of BLISS! NOT! But then I find your post in my email box. I feel refreshed, humoured and recharged already after reading it. Thank you so much. Wow! What a woman! I have just made a bag using op shop jeans for the outer and a shirt for the lining complete with the shirt pocket! at first I got excited because I thought the small jeans were designer jeans for the Integrity dolls… if you ever decide to do jeans for the fashion dolls, let me know..
on September 22, 2018 at 3:23 am | Reply Emma - a simple living journey. Rosie is beautiful! I’m very interested in the American style of BBQ, it seems very cool. And I’m totally in love with your visible mending. I’m keen to embrace it! So lovely to hear your updates … as I type, my husband who regularly competes in BBQ competitions and has insisted on acquiring an upright smoker for our deck, is schooling me in the difference between a pellet smoker and an upright smoker 😂 Enjoy your smoking (so to speak!) – it is addictive!!! I was lucky enough to stumble across your blog years ago and I’ve been reading and recommending it, to my friends ever since . I wanted to say thank you, for sharing your life, recipes, general know how and thoughts, so generously. You are such an inspiration, Celia! Thanks to you, I have learned to bake sourdough bread and that never gets old! When I’m in Sydney, I make a trip to Southern Supplies , what a treasure trove, thanks for that handy tip! I may well whip up a t-shirt bag this weekend. I love a new hobby! Hope you enjoyed the brisket! Anyway, thank you Celia . Tracey . You’re an inspiration Celia, thankyou. We bought a smoker done years back, marvellous things. I’m not doing any of my usual cooking, sewing, crafting just now just driving back and forth to hospital to support my husband. Have renamed him Lazarus. It’s one day at a time for now. But I did unearth some tatty old t-shirts in his drawer, I’m giving myself aday off from hospital duty so will have myself a mental Holiday and make over the t-shirts. Best wishes to you and yours. And may I add, also from the East, WICKED GOOD :) great inspiration. I knew you’d love visible darning :) You’ve had a very creative time. I smiled at Ian’s patches – they’re typical farmer’s trousers worn out just above the knee. We just bought a big green egg so I can relate to your excitement about the smoker. We’ve been experimenting with pizza. I thought nk we’re at 10 now and almost there. 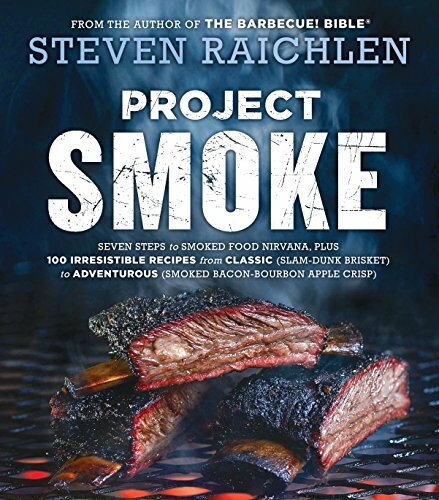 Your smoker looks amazing, and the meat looks awesome! I’m going to be sewing a lot t too, ive taken on a project for my cousin’s best friend to sew her slip covers for four kitchen stools and slip covers for two ottomans (they are white fur!!) I can’t wait, I love sewing so much. Fabric is prepped and I just need time to get to it. You’re sprons look amazing. I have my Mom’s old darning mushroom, she used to darn socks! I also have a darning hook that we used to fix runs in silk stockings. Although, in my day, they were nylon (I think we’re similar ages). I love that things weren’t disposable in those days. Your creativity and ingenuity knows no bounds Celia. Your denim creations need wider recognition. The egg coddler reminds me of a photo shoot I did with Royal Worcester (before the digital age). I was just part of the agency team not the photography or stylist. It took a whole day to do one product shot of the coddler. Those were the days…. Celia, it was SUCH a pleasure to connect again via your catch-up post. Life happens in between! Loved your patchwork thoughts (and handiwork), “Rosie” and her/your amazing results, the pinot noir photo of YOU :), xo, and exquisite tea bowl. xo! I am in awe of all that you’ve achieved…marvellous! Rosie is gorgeous, very appropriate name. I inherited those same egg coddlers from my mom, will have to pull them out and use them. Love the tea cup and pictures of your darning adventures. It’s interesting -and somewhat comforting- that many of us who found community -our people- a few years back via blogging are still around but doing more, blogging less. A natural progression, I think, of the exchange of inspiration the blogging community is so good at. Lovely post! The new denim works are amazing. Yes, I recognise Rosie…when we were little, had a tiny Lego robot made and christened such by my sister :) I must try visible darning for my tote — its handles are coming off and I tried normal stitching to reattach the handles. :) Thanks for the great idea!